South East Queensland’s picturesque Moreton Bay Region is known for its diversity and opportunity. Nestled right in the heart of the growth corridor between Brisbane and the Sunshine Coast is North Harbour – a new destination in residential living and a place to feel right at home. With its nine kilometres of direct river frontage, over the next 15 years North Harbour will grow into a thriving residential community based around a proposed marina*, with a direct connection to Moreton Bay. Located at Burpengary East, North Harbour residents will also enjoy direct access to Brisbane’s CBD and the Sunshine Coast; both are only a 35-minute drive away via the M1, which is quick and easy to access from the development. The Brisbane Airport is a 29-minute drive from North Harbour, and the Port of Brisbane is only 45 minutes away. 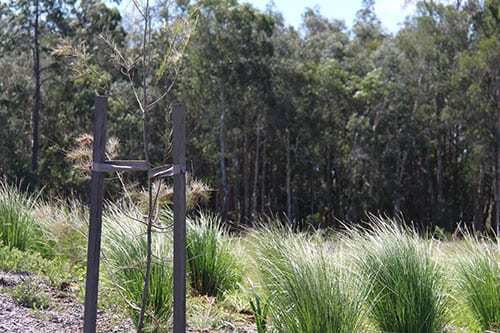 North Harbour is also very well connected to the nearby Morayfield town centre, with its wealth of shopping and business facilities, as well as the region’s primary and secondary schools, child care services and medical facilities, including hospitals. The Moreton Bay region is one of the fastest growing regions by population in Australia, and will continue to be the third largest local government area by population in Australia behind Brisbane and the Gold Coast. As at 30 June 2015 (ABS 2013), the region had an estimated current resident population of 399,406, and has shown dramatic growth over the past decade. The population is estimated to exceed 530,000 by 2031. North Harbour will do much more than provide Burpengary and the Moreton Bay region with a residential community where people feel right at home. Its development will contribute to the Brisbane to Sunshine Coast corridor’s prosperity and growth. North Harbour’s master plan will see a spirited community grow over a period of 15 years, with the development providing employment during construction and through the establishment of businesses and tourism opportunities at North Harbour marina*. North Harbour’s location in one of Australia’s fastest developing regions will be matched by the beauty and amenity that will be made available to residents. North Harbour has been master planned to offer a complete destination lifestyle – it will emerge as a place where it’s possible to live, work and play; and somewhere that’s within very easy reach of Brisbane and the Sunshine Coast. Even with the convenience and connectedness, house prices in the region remain affordable for both owner-occupiers and investors. House values are also growing steadily; it’s a trend that has been established in recent years. For investors, rental yields are traditionally healthy — vacancy rates are traditionally low and rents traditionally quite moderate. North Harbour marina is proposed to grow to become one of Australia’s most vibrant recreational marina hubs. It will emerge to become a meeting place, somewhere North Harbour residents and their visitors want to spend time. North Harbour marina will likely include a marina village, neighbourhood shopping centre, public spaces and promenades, cafés and restaurants, a 300-berth marina, 500 dry boat stacker, associated shipyard and cluster of marine industry businesses, as well as a range of housing choices, apartments and townhouses. With its direct access to Moreton Bay, North Harbour will play a key role in meeting the strong demand for marine-related industry development. The establishment of marine industries, with an education and training centre, will see the precinct drive economic growth and workforce development in Burpengary East, Morayfield and the greater Morton Bay Region, while also helping to satisfy the growing regional demand for marina berths and marine facilities. North Harbour’s rich and prosperous history provides the perfect backdrop for a burgeoning residential community and complete lifestyle destination. Once a cotton farm, the land on which North Harbour rests was owned by the Caboolture Cotton Company; the business partners included a Scottish settler by the name of George Raff who called Brisbane home. In 1868, Raff bought some of the land from the company. He used it to develop a sugar cane plantation and processing works – sugar, rum and molasses were produced. Raff was intimately involved in the early development of Queensland. He was a member of the first Queensland Parliament and a prominent Brisbane local businessman. Raff called the plantation “Moray Field”. The name complemented his “Moray Bank” house in Brisbane. Both names were derived from his native Morayshire in Scotland. “Moray Field” was often written as “Morayfields”, and from 1881 it became “Morayfield”. At the time, the plantation was a substantial undertaking in what was a remote area, being approximately 40 kilometres north of the Brisbane. Access by land was difficult. Links to the outside world were better via boats and small steamers. A ‘commodious wharf’ was built on the river to allow goods and produce to be received by and sent to Moray Field. Morayfield remained a rural area consisting of a small dairy holding and small crop farming enterprises until the mid-1980s. It is now one of the fastest developing regions in Australia and home to North Harbour, a vibrant residential community where you’ll feel right at home. It is expected that North Harbour with grow to become one of South East Queensland’s most sought-after waterfront residential communities. With its nine kilometres of river frontage, it will offer an abundance of leisure, relaxation and recreational facilities right on your doorstep. Direct river access to Moreton Bay, its magnificent islands – Moreton Island, Bribie Island, North and South Stradbroke Islands — and the Pumicestone Passage is available from North Harbour. The nearby waterways are home to dugongs, turtles, dolphins and over 350 species of birds. Whale watching, sailing, fishing, kayaking and swimming are just some of the activities you can enjoy. The Uhlmann Road boat ramp is less than 10-minutes from North Harbour by car, and provides a great launching point for a range of watercraft. Once established, North Harbour marina* will invite locals in to shop and dine locally, plus the marina* will be home to world-class berthing facilities and marine industries. The planned 1000 acres of green public spaces on the riverfront will feature BBQ areas, playgrounds, cycle ways and walking paths. 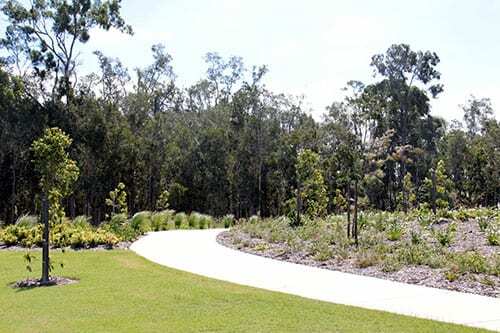 The North Harbour master plan maximises the beauty and amenity of the Burpengary East reach of the river, with its captivating and meandering turns and bends. Bushland will be preserved for the enjoyment of families now, and for many generations to come. North Harbour has been master planned to respect and preserve the historical and environmental significance of this beautiful pocket of Burpengary. The community will be developed in harmony with the region’s natural features – large and leafy public and private spaces will abound, neighbourhoods will be walkable, cycle ways will be plentiful, road networks will be well connected and cohesive, and transport will be integrated. The charm of the grand meandering river frontage will also be safeguarded as North Harbour marina* is developed. 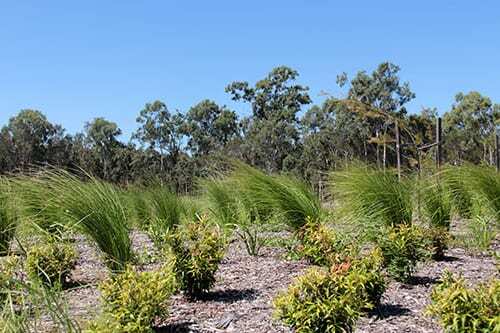 The North Harbour project received Federal Government approval under the EPBC (Environmental Protection and Biodiversity Conservation) Act in 2012. The development of management plans and environmental monitoring will be ongoing, and will ensure the project meets environmental objectives. Copies of plans and reports will be made available as they are completed.